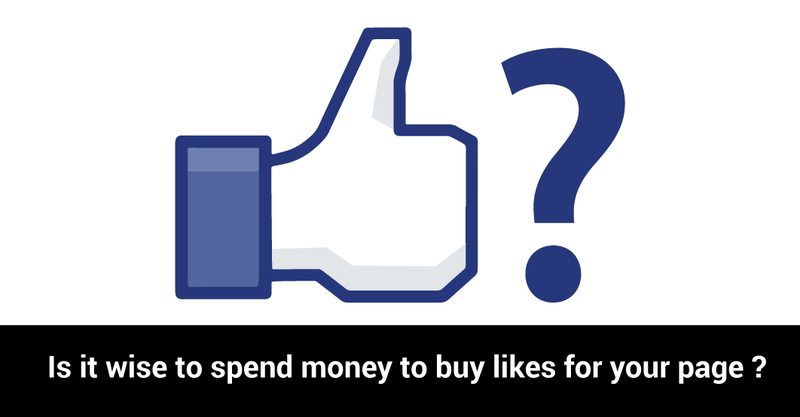 Is it wise to spend money to buy likes for your page ? 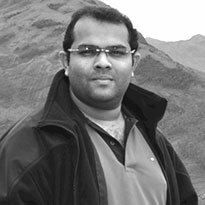 Home / Digital Marketing / Is it wise to spend money to buy likes for your page ? FACEBOOK!! A vital aspect in our personal as well as business life now a days. But Facebook has recently dropped a bombshell on all its users …. Eager to know more. Facebook took a survey of thousands of people to know about their feelings related to the contents in their News Feeds. The serious opinion of the public was that they wanted to see more stories from friends and the pages they care for. They were strictly against promotional content. A user can constantly see around 1500 stories every day. Facebook has decided to narrow down these stories upto 300 stories for which users care more, rather than the promotional contents. People can decide who and what to connect with, and by listening to feedback. A like shows that, they want to see more of it; when they hide something that tells News Feed to display less of that content in the future. This change has been effective since January 2015. Hence it can be concluded that if you post huge number of contents which are promotional, you will be punished by Facebook. WHICH ARE THE PROMOTIONAL POSTS? Posts trying to push people for buying the products, to enter promotion. Posts reusing the same contents from ads. In future every company posting promotional contents will face a deep dropdown in their organic distribution. This decision will be a big hit to the distribution sector and for the companies posting the huge number of promotional contents. The strategy of the marketers to run an ad which promotes the unpublished posts till it gets comments, likes and shares also will be collapsed due to such a decision taken by Facebook. This decision will help marketers to opt different available options of marketing rather than depending on the posts in Facebook. This will help the important feeds from your families and friends to get its place at the top. People can see what they want to see and can get engaged in the issues only which they think are necessary to know. This decision has entirely boosted the business of Facebook and has generated revenues as companies spend lot of money for building Facebook followers as asset. Initially when a company post a new post, it will be shown to all the followers. But these days with the change in the Facebook algorithm, it shows the posts only to less than 1% of the followers. Those followers are the real actual followers who actually comment and like the messages of the company. So those who engage more with the page, only can get the contents in their feed. If a company wants to posts something to their followers itself they need to pay and boost the postings. Each boost costs from 5$ to 200$ based on the reach and demographics. Facebook’s decision to penalize the post includes only those posts which push people to buy the product but the question which remains back is regarding the pages that provide value to the daily discounts. This is where Facebook can get itself into trouble or it will have to keep exceptions to the rules. Facebook’s announcement will lead to a big change and people posting the promotional content will be pushed out of the news feeds. Due to this change there will not be an increase in the number of ads people see in their news feeds. The idea behind this is to increase the relevance and quality of the stories published in the news feeds. Remember that your page is not the place where you can make sales but it’s only the place where you can create a community for your brand. If your business is facing such challenges I suggest you to rethink over your strategy. Found your site on Google. This is a cool post. I’d like to see you take the main idea from this article and craete another second article, and maybe you could embed a vid, also?